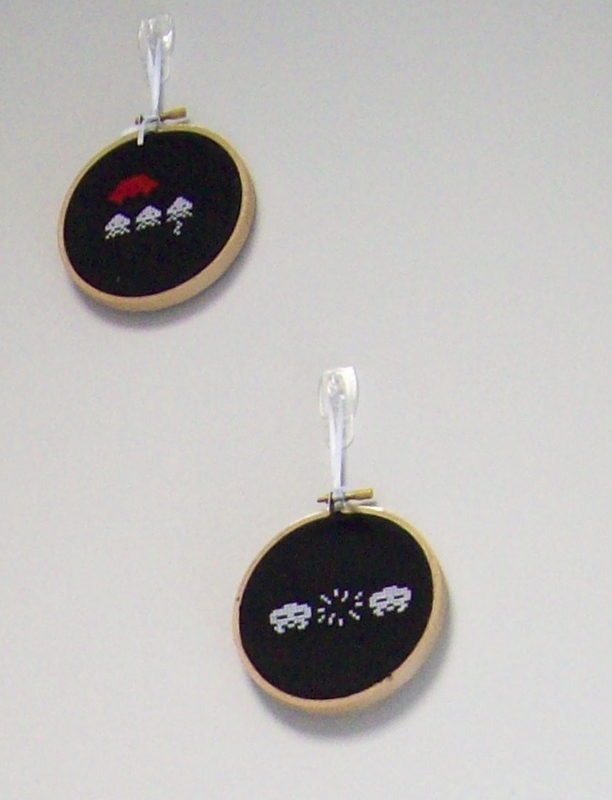 Space Invaders cross stitch is an idea I’ve been considering for a while. I finally got around to stitching some up! I made four hoops – one for each type of space ship and one for the defenders of the planet (go Team Earth!). 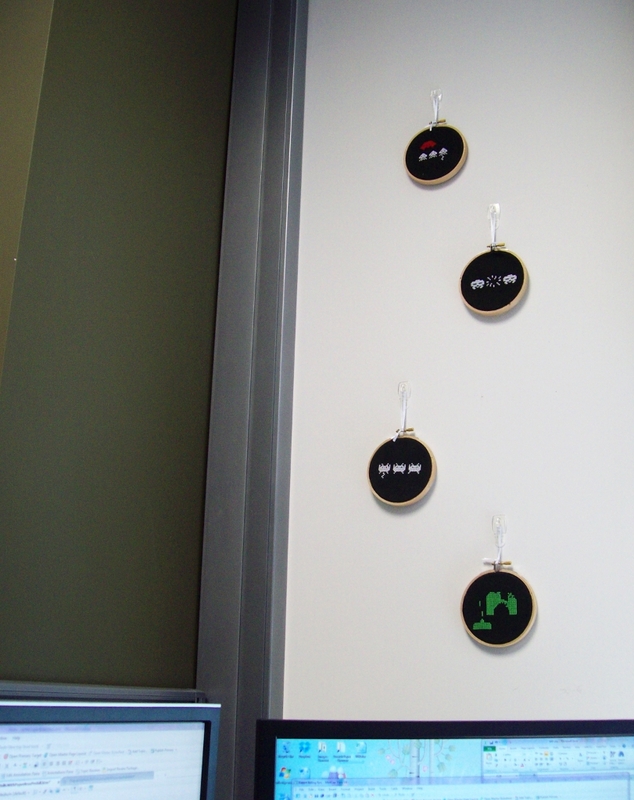 I’ve hung the completed Space Invaders cross stitch above my desk at work. 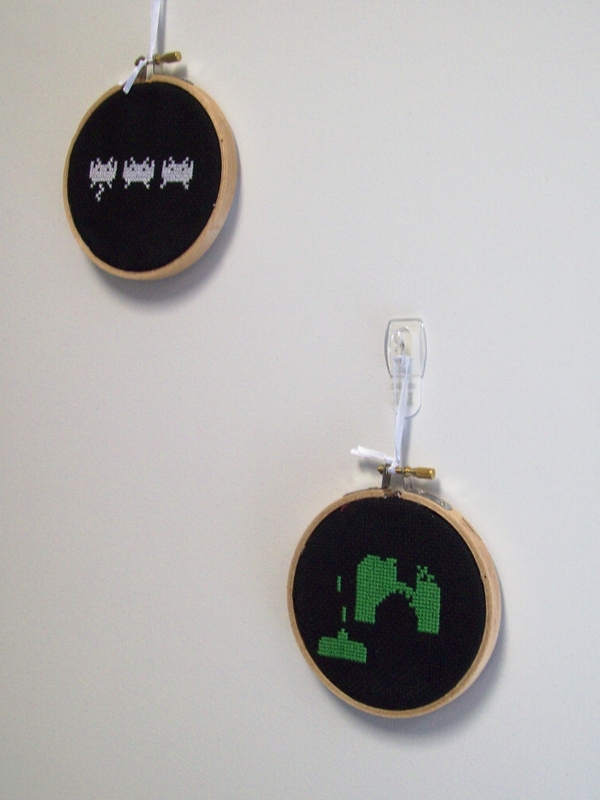 Space Invaders Cross Stitch is not the most original idea by a long shot, but it was still a fun project to work on! It makes my desk look a little more homely, and my coworkers love it (my work makes software). This entry was posted in Craft, Cross Stitch and tagged Craft, Cross Stitch. Bookmark the permalink.